To see all photos and progress on Veteran’s rifle, click here. Progress of building the third rifle for the US Palma Veterans Team raffle. July 8, 2009 ~ Cheekpiece riser and right and left adjuster. The bar on top will be used to hold the magnet in the cheekpiece, which is detachable. Scott Riles has offered to donate a front sight and trigger. Here’s a picture of an offset sight which I made for Mike Dunia with the help of Scott Riles. The globe is Scott’s, and I adapted it to the offset sight. This is for a Remington but could be adapted / customized for other actions. Machined out place for cheekpiece riser and thumbwheel. Dayum! (That’s Southern for damn.) If you’re stuff shoots half as good as it looks, you’re amazing. Absolutely beautiful craftsmanship in everything I see on your website. It’s obvious that you love your work and really care about it. Did I miss the finished rifle photos? Beautiful rifle. Can you send me information on the raffle. When is it and can I purchase tickets. Thanks! Unfortunately the time is past for this year. Love what you are doing. Can I buy tickets for it or are they all gone? I know this is May 2011 but im a RVN Vet and would love to have that gun. I am a smallbore target shooter to boot. 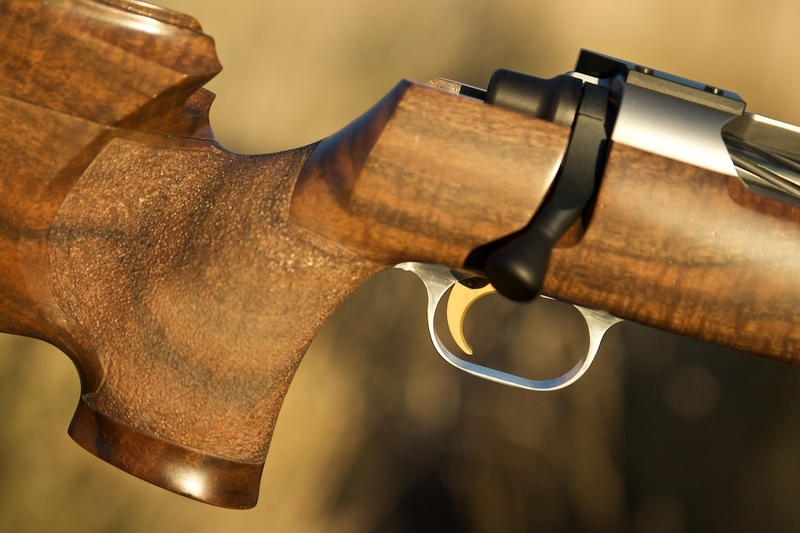 Your an amazing craftsman, very much someone has the ability to blend all the parts to make up an outstanding rifle.